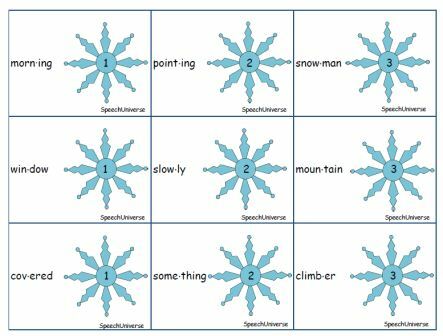 As you might already know, I work with a Kindergarten intervention group, and our focus is on phonemic awareness skills. 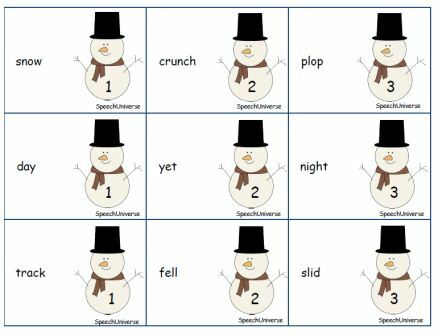 In this group, I mainly focus on using literature to target the phonemic awareness skills of syllables, rhyming, and sound awareness. 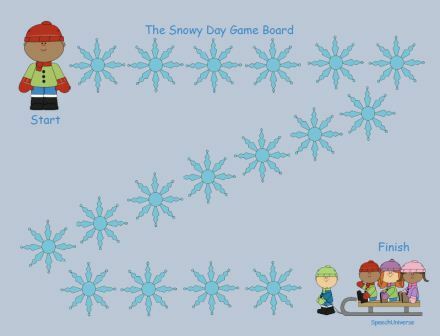 We work together for a half hour, four times a week. 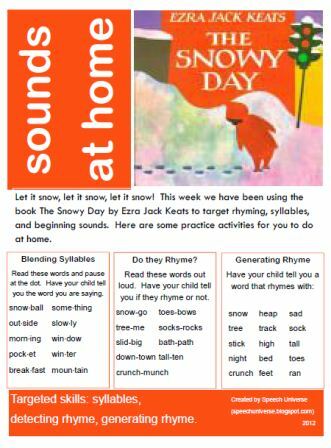 When we get back from the break, we are going to use the story The Snowy Day by Ezra Jack Keats. 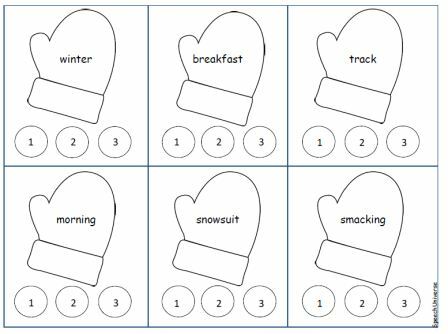 I have created a companion pack of activities to accompany the story. 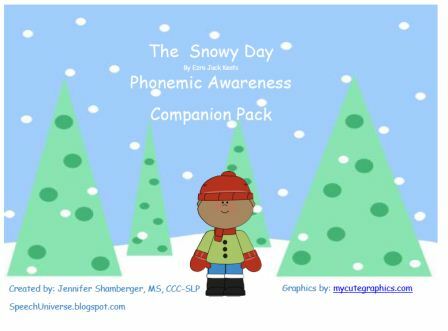 The Snowy Day Phonemic Awareness Companion Pack is available at my Teachers Pay Teachers store. 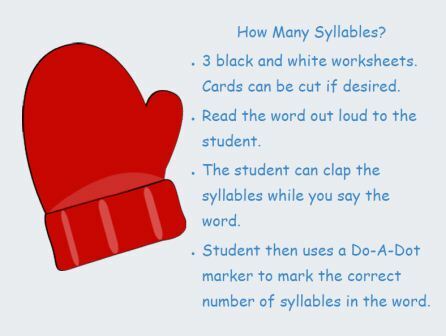 How Many Syllables- This is a worksheet activity that focuses on counting the number of syllables of words from the book. 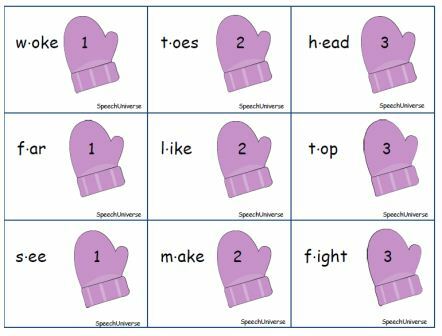 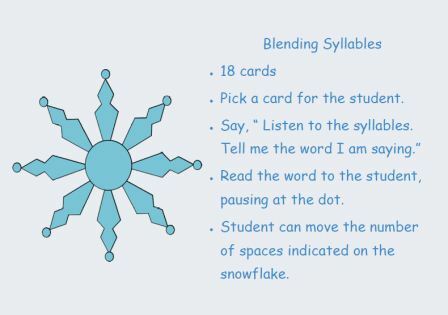 Blending Syllables- This is one of three activities that can be played with the game board. 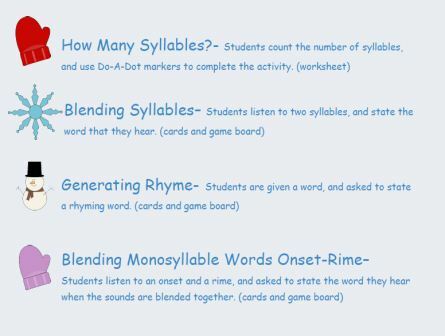 Students are asked to listen to two syllables, and then state the word that they hear. 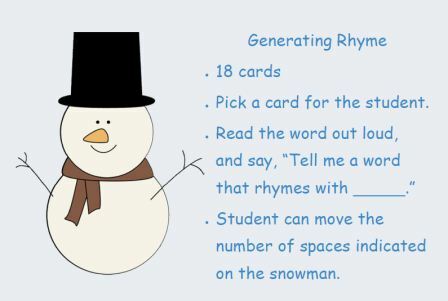 Generating Rhyme- Students are given a word, and asked to state a word that rhymes with it. 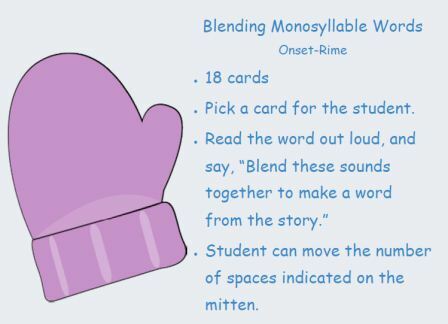 Blending Monosyllable Words- Onset and Rime- Students listen to an onset and rhyme and state the word that they hear when the sounds are blended.